Technology – and therefore electronic media – has taken over our lives. It seems everywhere you go people have their heads down interacting with their phones or tablets instead of with each other. Many have claimed that traditional printed materials are becoming extinct because of our advances in technology. While print media has declined, it’s obvious that these predictions did not ring true. In fact, we are starting to see the opposite occur. The market is turning back towards print in order to stand out more in this electronic age. Using both print and electronic communications in an integrated marketing effort can add greater responses and return. Learning the differences between the two and effectively coordinating them ensures the strongest branding effort and results. However, making your electronic and print materials “match” is not exactly the answer. There are many differences in the two mediums. We are going to focus on just two: viewing and interacting. One of the biggest differences between print and electronic communications is how people view them. Holding something physical in your hand — a piece of paper, a business card, a brochure — is a much different experience than viewing something on a screen. While print and electronic communications can share the same visual look, where and how these materials are viewed play a big role in how each will be designed and used. For example, a traditional business card has two sides that typically show contact information along with some limited additional information. However, a digital business card can more easily expand to include a photo and links to bio pages, social and blog sites to increase engagement. Printed materials add a tactile level of interaction which can affect the way a person reacts to the material. 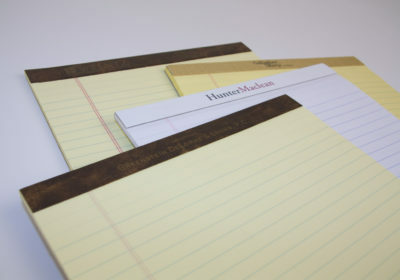 Using a textured or substantial paper stock or printing effects like engraving, embossing and foil-stamping adds to the tactile experience and increases memory. While electronic materials cannot include traditional tactile elements, they can include additional visual aids to increase the interaction such as audio, video and other types of animation. Interaction with printed materials is usually limited to flipping or unfolding a page. Conversely, users can get lost clicking through links to find more information when using electronic media. Now that we understand the differences between electronic and printed materials, let’s discuss how they can work together to brand your firm. It really is the cardinal rule of branding – your logo and name should always match – no matter where they displayed. Electronic communications are fairly easy to update and the update is immediate. Printed materials, on the other hand, take a little longer to come to fruition. Once an item goes to the printer, it’s not going to change barring a decision to re-design and re-print, so more care is taken in proofreading, designing and updating printed materials. While it is tempting to update or alter your logo and name in electronic formats either before or, perhaps, without updating your printed materials, your brand and business will suffer. 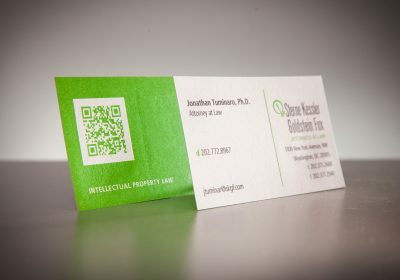 Picture this – one of your attorneys hands out a business card to a potential client. The potential client then searches the firm name on the card and is presented with a site that has the same firm name, but a different logo or a similar name with different colors in the logo. This will leave the potential client wondering, “Is this the same firm? And if it is, if they can’t get the easiest details consistent – their own firm name and logo – how will they handle my business?” This could potentially damage your firm’s reputation. 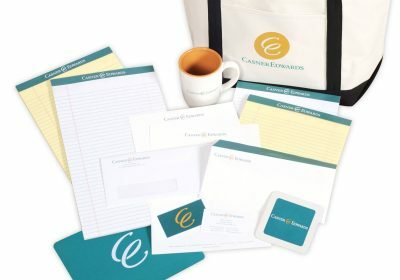 Do the logo and firm name on your website, blog and social media match your stationery, business cards and even billing statements? Do they match what is printed on your announcements, invitations and brochures? Is it the same as the email communications you send out? Do they match your office signage? Are they the same shape and color (or an approved black and white version)? 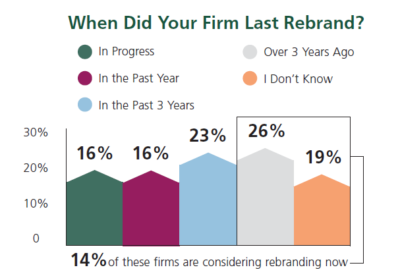 If the answer to any of these questions is no or if you are planning to rebrand, it’s time to do a brand audit and build a plan to ensure that your materials will match. Your printed and electronic communication materials should visually complement each other. Both use typography, images, shapes, lines, color, etc. So many of the same best practices apply to each. However, based on what we learned above, people interact differently with printed and electronic materials. Therefore the application of certain visual elements must be altered. 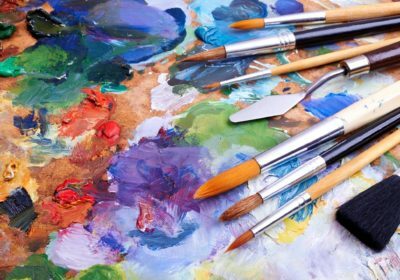 While your logo and firm name should be an exact match, the colors may need to be altered. Color displays very differently in printed formats versus on a screen. Plus, printed color may appear different based on the paper stock and print medium used. And the color on electronic materials may vary based on the individual device’s settings for brightness, contrast, etc. Your designer and printer can easily adjust for this to ensure a cohesive look. The same holds true for fonts or typestyles. For printed materials, a serif font can be more readable. However, clean sans serif fonts are easier to read in electronic format. Simply create standard complimentary fonts and use those consistently within each medium. Images and other embellishments can be used consistently in each form. For instance, if you use periods in your phone and fax numbers in print – you can do the same electronically. And images that you use to reinforce your brand culture easily translate into both mediums. 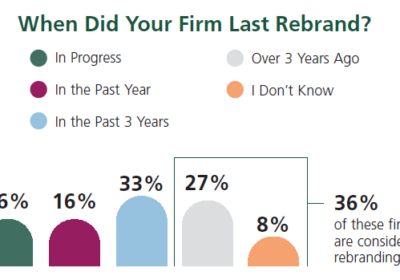 When you review your materials, be cognizant of the answer to the questions, “Can I instantly recognize my firm?” and “Do I look different than my competitors?”. If the answer is no, it’s time to redesign to make these items complement each other. The main difference between print and electronic materials is that print retains its form until, of course, it is reprinted. In contrast, electronic materials, information, images and videos can change frequently. So be sure to use each medium for the right message. Use websites and other electronic materials for alerts, news and other information that changes regularly. But be sure to add reference to the electronic materials in every printed piece to increase and drive readership. Use more general information in your printed materials. This will allow these pieces to have a longer shelf life so you can print larger quantities at a lower price per piece. Content that reinforces the permanence, culture and dedication of your firm is perfect for printed pieces. Strategically distributed print can help spread the news about a new partner or attorney, an event or seminar or a recently-won award. But, again, don’t forget to include short, memorable web/social media addresses to drive traffic and increase engagement with electronic content. Use traditional business cards and digital business cards together for the greatest impact. Printing your digital business card URL on your physical business cards will encourage engagement. Often these are displayed with other contact information – e.g. phone, email and vcard for the digital business card. In order to keep your printed and electronic materials in concert, create a brand standards manual that includes all approved logos, firm name references, colors, fonts, treatments and more. Consult your designer and printer for help.